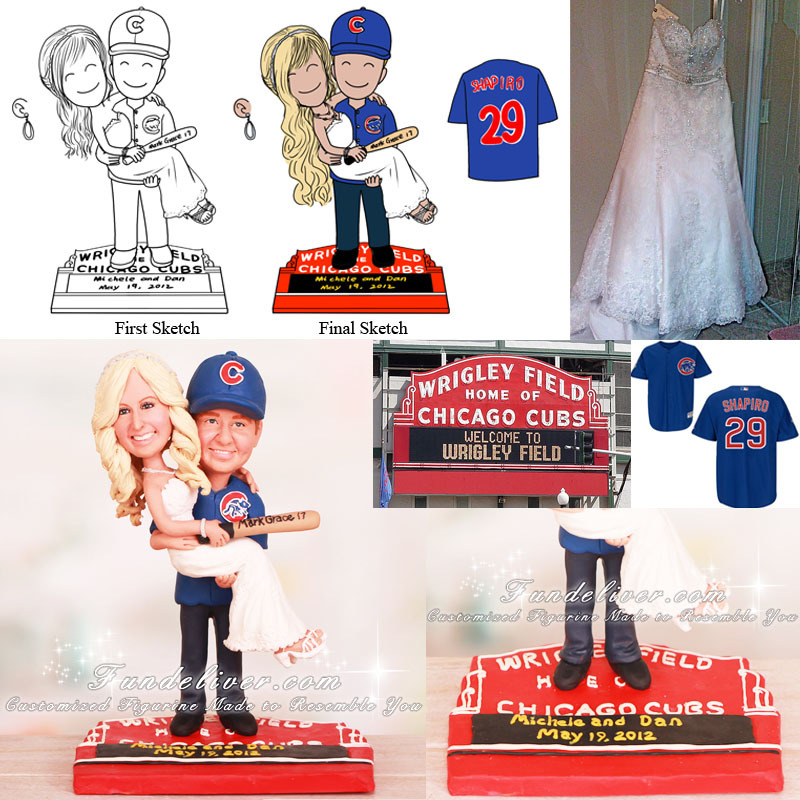 This is a completely customized couple standing on Wrigley Field marquee wedding cake topper ordered by one of our customers. 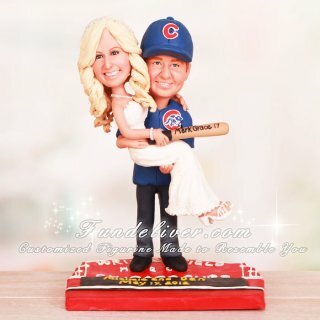 They would like the groom to be carrying the bride while standing on the red Wrigley Field marquee with the white writing “Wrigley Field Home of Chicago Cubs”. The yellow lights say “Michele and Dan May 19, 2012”. The Groom is wearing the blue Cubs jersey with the name Shapiro on the back with the number 29 underneath. He is wearing darker colored blue jeans, black shoes & his jersey untucked. Also he is wearing a blue Cubs hat with a red "C" on it, outlined in white. The bride is wearing a wedding gown, sandals and a silver hair piece. Her hair is long and curly with a little of the sides pulled back. She is carrying a bat with the signature of Mark Grace on it and a #17 written on it. Both figures are looking forward and smiling.